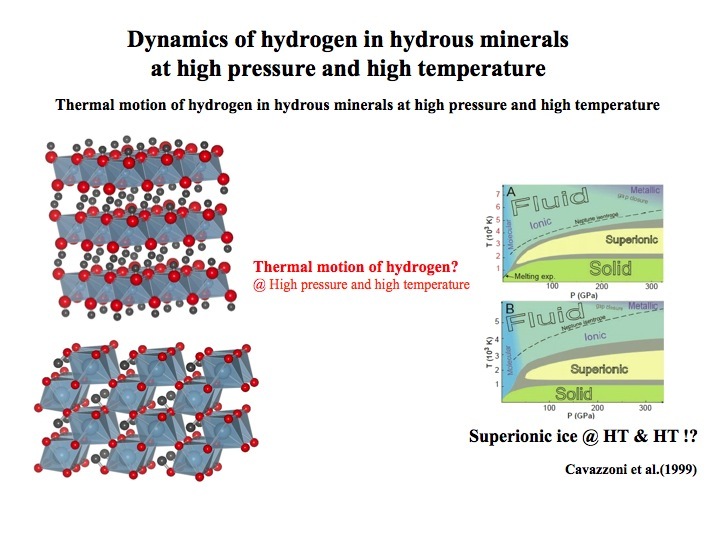 Understanding of mineral-water interactions is one of the most fundamental issues in earth and planetary materials science, because the earth is so called the water planet in the solar system. Dynamical view of the earth drawn by plume tectonics realized that the earth’s surface is strongly coupled with the earth’s deep interior in the system of geo-materials. 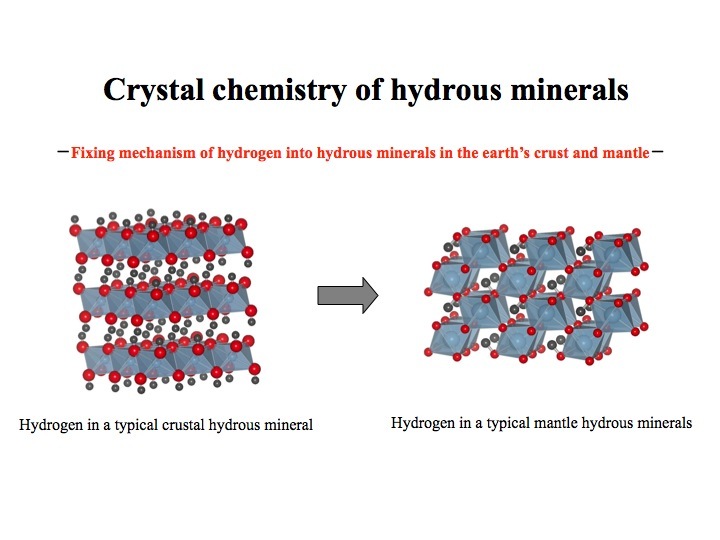 The aim of hydrous minerals group is to clarify the roles of water in hydrous minerals from the crystallographic view points, such as how water fixes into minerals and how the geometry of hydrogen bonds in minerals changes with increasing pressure and temperature. Furthermore, to clarify the dynamical behavior (e.g., bonding, bond dissociation, diffusion, self-organization, etc.) 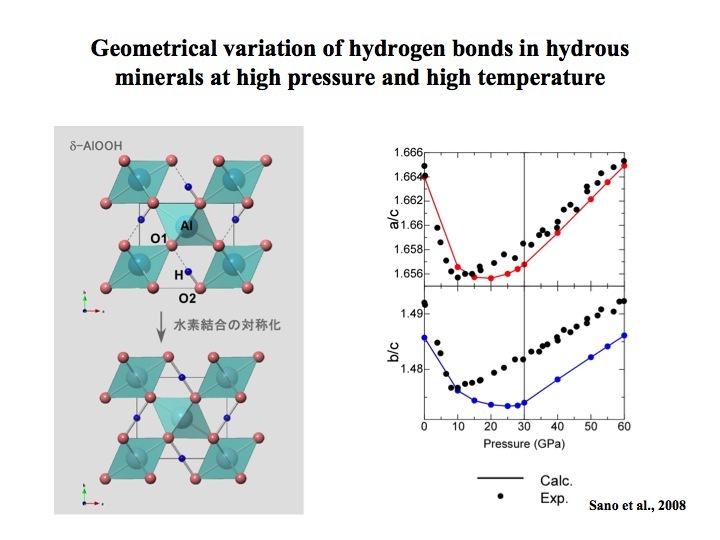 of hydrogen atoms in minerals at high pressure and temperature is also targeted, because mobility of hydrogen atoms in minerals is expected to be quite high at high temperature.